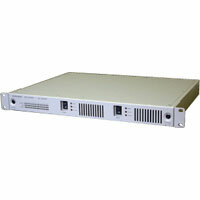 Canare PS series is a powered platform for plug-in units of EO/OE, EE, TRM, and other Optical Converter modules. The robust 161UPSC 1RU rack mountable unit has 16 slots.The 2PS Unit is palm sized, and has 2 slots and the 6PS is a portable type unit, with 6 slots. 4 type of alarm signals can be output via Dsub-9P(F) connector (161UPSC).